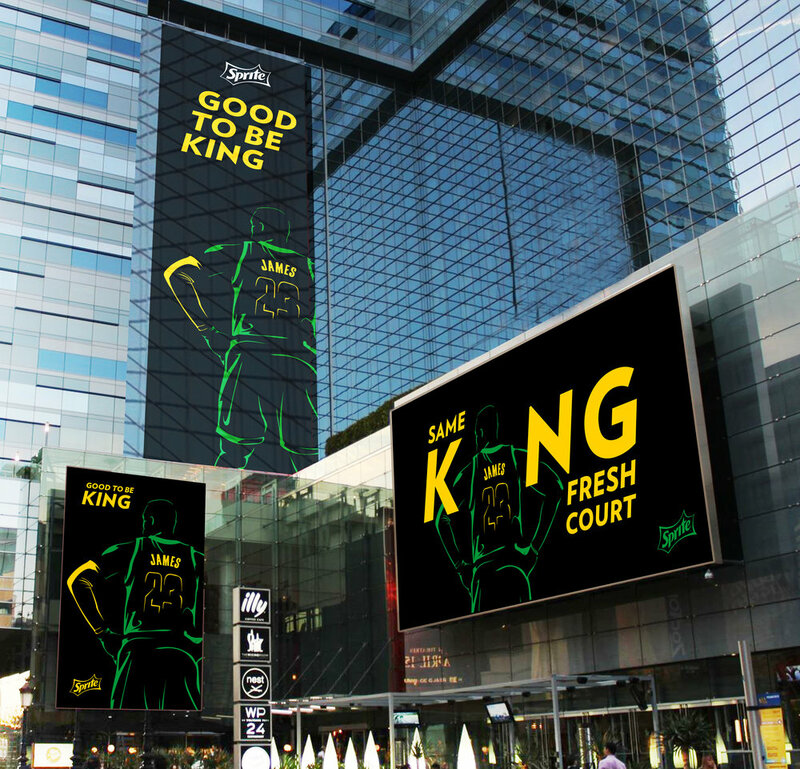 To celebrate Lebron’s first home game with the LA Lakers, Sprite released a series of OOH boards in LA Live, right outside of the Staples Center, in addition to actively engaging in the conversations on social media and extending their reach to point of sale and promotional merchandizing. 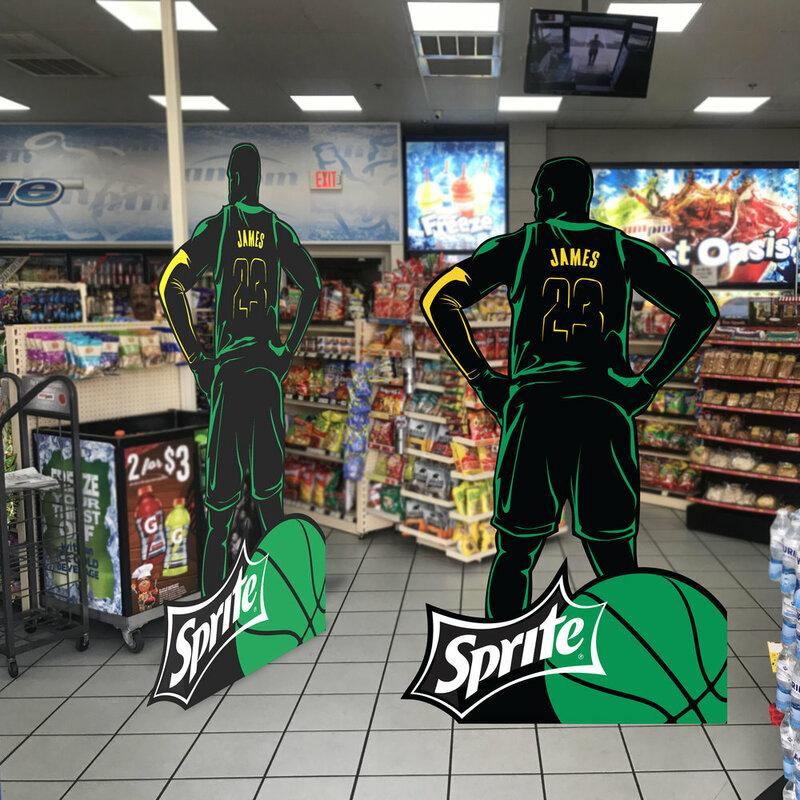 Even with a tight turn around time, limited assets and resources AND a cease and desist letter from the NBA/Pepsi, we managed to spread the spirit of Lebron and Sprite throughout Los Angeles. A collaborative effort between KO:OP and Social Center. Imaged borrowed from someone’s instagram post. I did not take this photo. 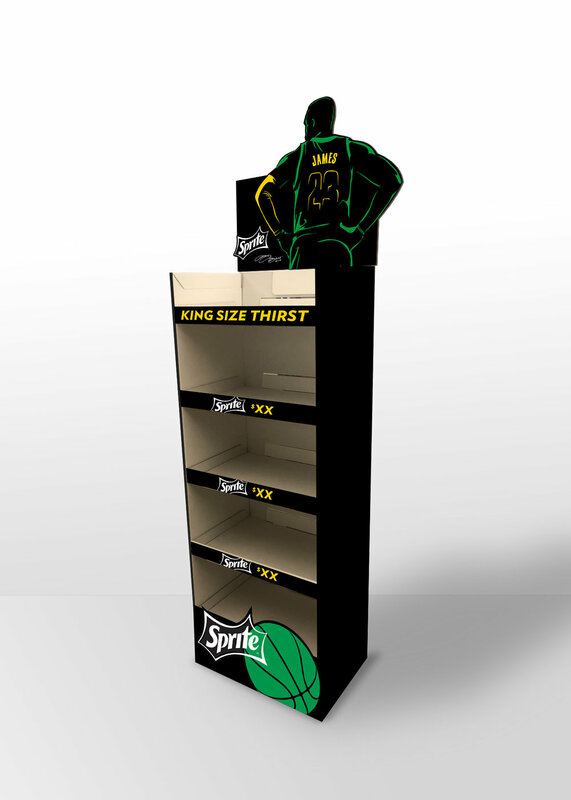 We changed the classic green of Sprite to purple and gold for one day only to celebrate our #1 star going to L.A.
It’s a small change, but by coordinating our digital OOH billboards, social channels, and limited run of cans to all turn purple and gold at the same time, we’ll make a big impact and create even more buzz around Lebron. In preparation for the big game, KO:OP collaborated with the Social Center to utilize the OOH assets across social media. A library of animated gifs were ready to post in real time to stay active in the conversation. It isn’t ‘illegal’ to use a black cup for Sprite, but venturing outside of their classic green is definitely a sensitive subject with brand standards. Fortunately, they allowed an exception.